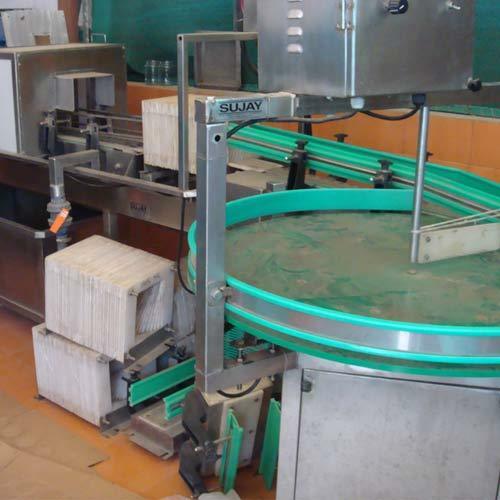 Our range of products include gherkin high speed linear jar or can filling machine, gherkin continuous pickling line, jar & bottle washer, jar slat conveyor, juice pasteurizer line and gherkin jar & bottle washer. Facilitated by technically advanced process, we are presenting a distinguished collection of Gherkin High Speed Linear Jar Or Can Filling Machine. Our offered machine is manufactured by utilizing optimum quality raw material and advanced technology by our skilled professionals. 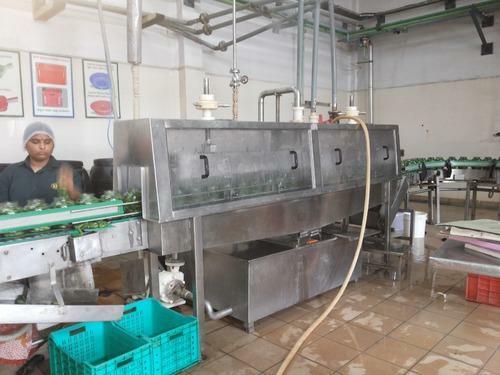 We are into offering a wide array of Gherkin Continuous Pickling Line which is widely demanded by the clients for their availability in different specifications. 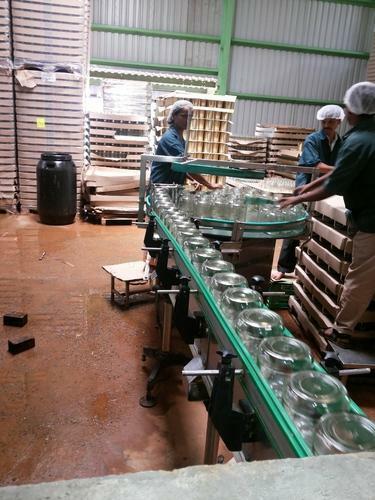 Highly acclaimed these gherkin bottling plant are widely demanded all across the world for their precise use. Moreover, to meet the needs and requirements of the clients we test the quality of these products rigorously. We are into offering a wide array of Bottle Washer which is widely demanded by the clients for their availability in different specifications. Highly acclaimed these Bottle Washers are widely demanded all across the world for their precise use. Moreover, to meet the needs and requirements of the clients we test the quality of these products rigorously. Owing to the expertise of our professionals, we have emerged as the foremost organization for manufacturing Jar Slat Conveyor. it is mainly used in food processing industries. Being a quality-oriented organization, we assure our clients that this conveyor is best in quality. Our skilled professionals only utilize fine quality raw material, while manufacturing the entire range of conveyor. Moreover, our offered conveyor can be availed in a wide range of sizes and shapes, as per the requirements of our esteemed clients. Sujay Industries offers wide range of Pasteurizers for Gherkin Vegetable, Fruit etc online as per capacity and customer’s requirement. Provided with 50% heat zone & 50% cold zone of Steam Injection Type. 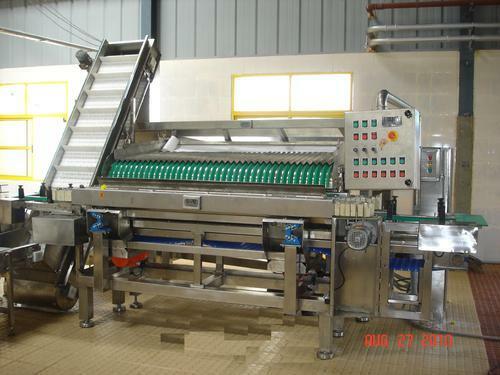 Jar or Bottle conveyor are of ribbed type rigid belt, Pumps, Controls, PLC Controls, data probe readers and Sprayers of reputed make provided. 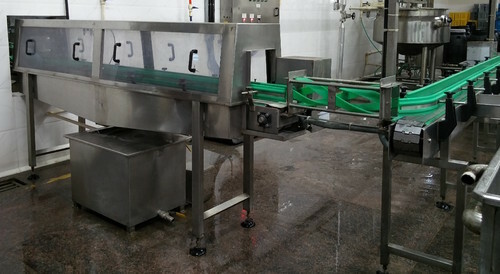 Pasteurizers are used for preservation of Gherkin Pickles by heating up to 85-degree temperature about 20 minutes and cooling to ambient temperature about 18 minutes. Sujay Industries offers a wide array of Jar or Bottle Washer which is widely demanded by the clients for their availability in different specifications. Highly acclaimed these Jar or Bottle Washers are widely demanded all across the world for their precise use. Moreover, to meet the needs and requirements of the clients we test the quality of these products rigorously.We manufacture and supply to Gherkin, food, vegetable, fruit, frozen processing plant for washing Jar or Bottle before product and media filling.We manufacture as per the customer requirement, capacity, avaiable in SS 304 and SS 316L food garde steel.We offer wide range of machine at a very reasonable price. 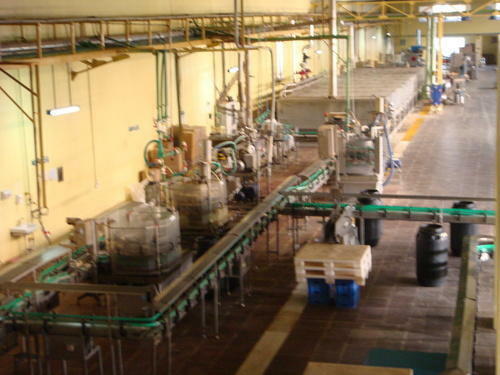 Sujay Industry is the trusted company of the industry which is involved in the manufacturing, supplying and exporting of overflow gravity Media Juice Filling Machine mainly used in gherkin bottling and canning line to fill up media like vinegar, salt water,Brine solutions as a preservative online. We are best known for value for money production of food processing machines , manufacturers and exporters. We are best known for high quality stainless steel products - SS304, SS316, SS316L and above grade quality equipment’s. 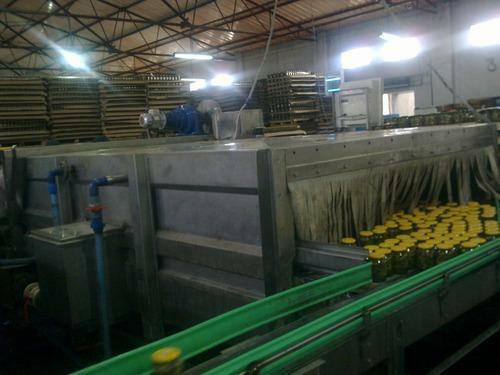 Looking for “Gherkin Jar Or Bottle Line Processing Machinery”?